Hi everyone, it’s Andrea from The Cottage Market. Hope your June is going fabulously. 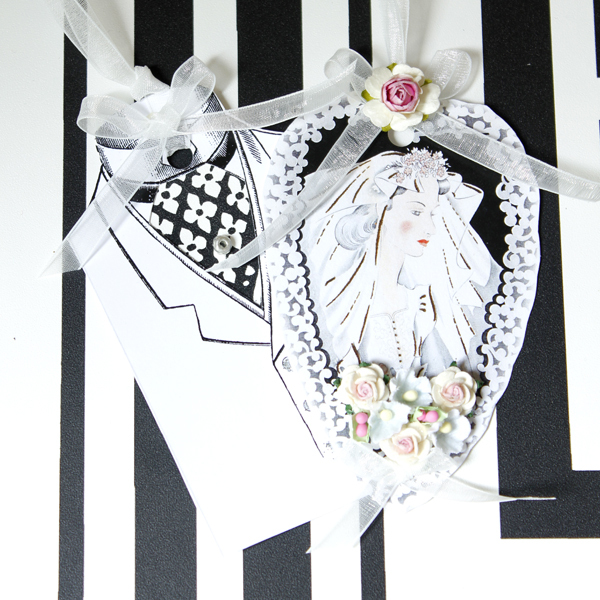 As promised I am back with a part two of the Vintage DIY Wedding Tags…only this time part two has two projects in one. 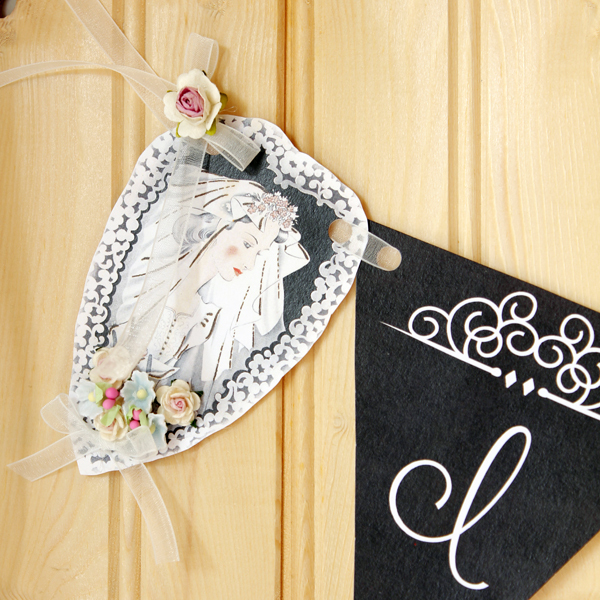 First a Beautiful Vintage Bride tag to go with the Groom Tag. 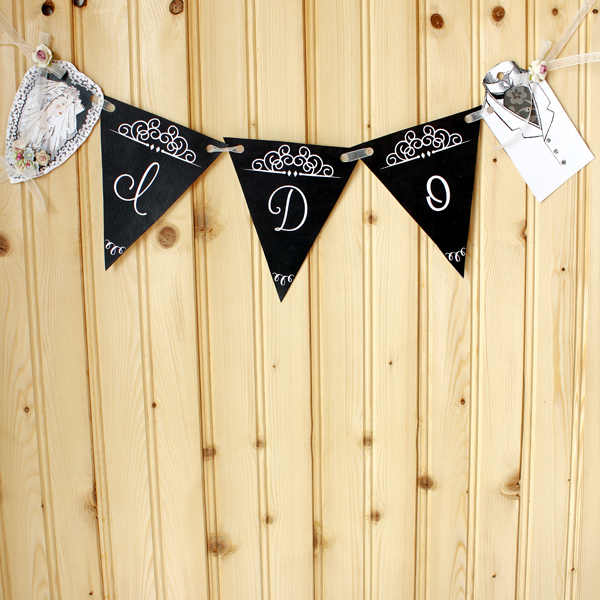 Then we are putting them both together along with an I Do Chalkboard banner letters and they create a wonderful Wedding Banner for any new couple to be or even for those that are renewing their vows. The project could not be easier and I know you like that : ) Life is busy so it is great to be able to put something together that looks pretty and takes no time. 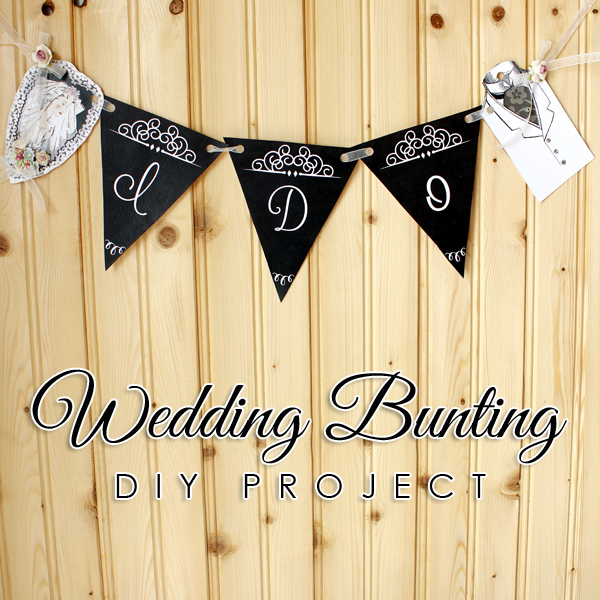 Let’s get to creating our Wedding Bunting DIY Project! 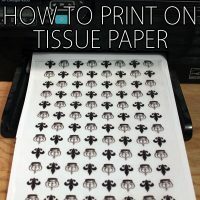 All you need is the printed items for the project you are making. 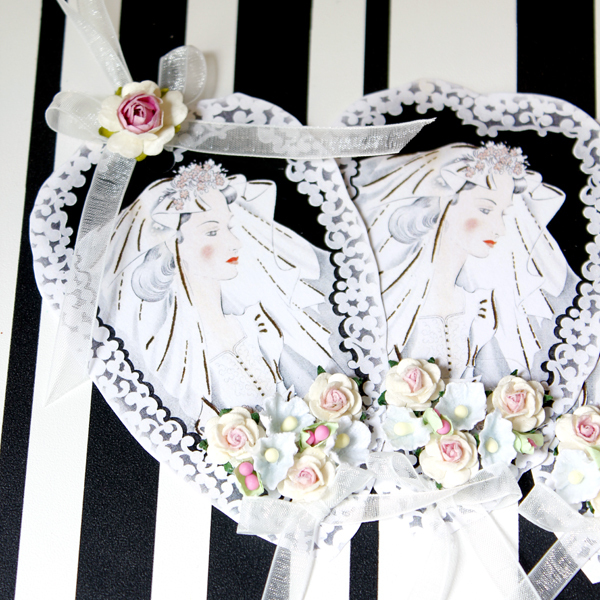 You can find the Vintage Bride right here. If you are making the full banner…the banner is below. 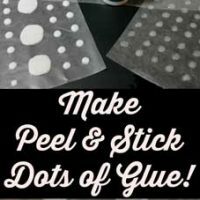 You will need some pretty ribbon…some small flowers of your choice…a scissors…some glue and a hole punch. 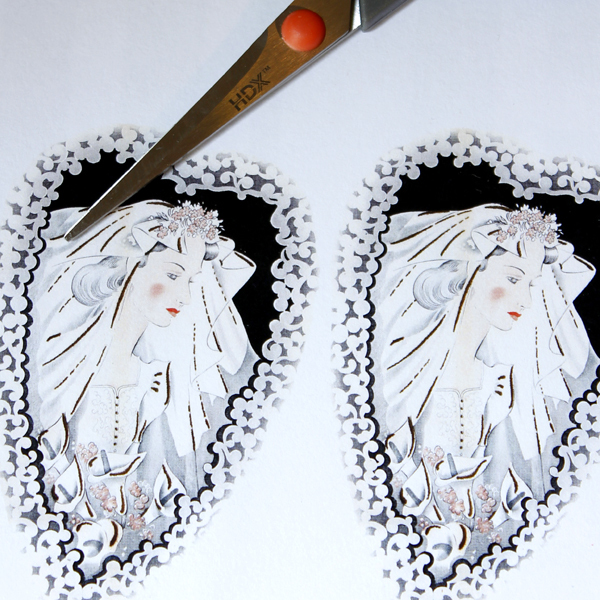 First we cut out the bride for tags or the banner. Now it is time to punch the holes into the banner and the bride…for the banner…punch two hole on either side of each graphic so you can string them. 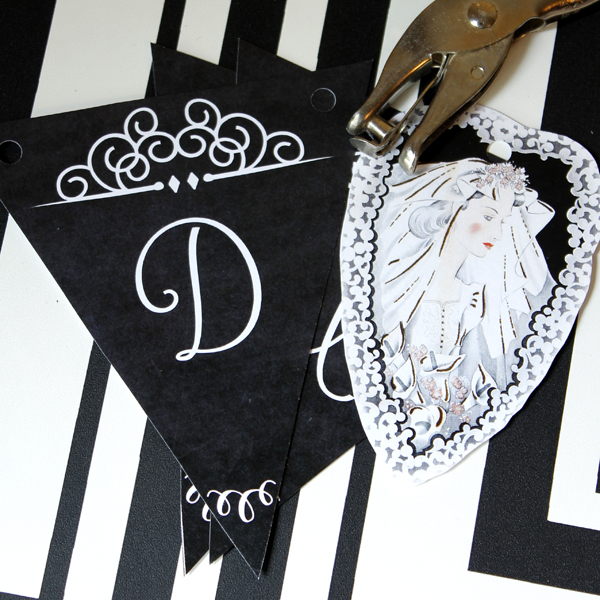 If you are just making the Bride Tag…one hole in the center is all you need. Now for the fun part of the tags and banner Bride. Tie a bow for the tag…thread the ribbon through the hole…glue the bow to the top of the heart and then glue a pretty flower in the center of the bow. Then create the Brides Bouquet by hot gluing small pretty flowers to the bottom portion of the heart and then add a little bow for even more drama. 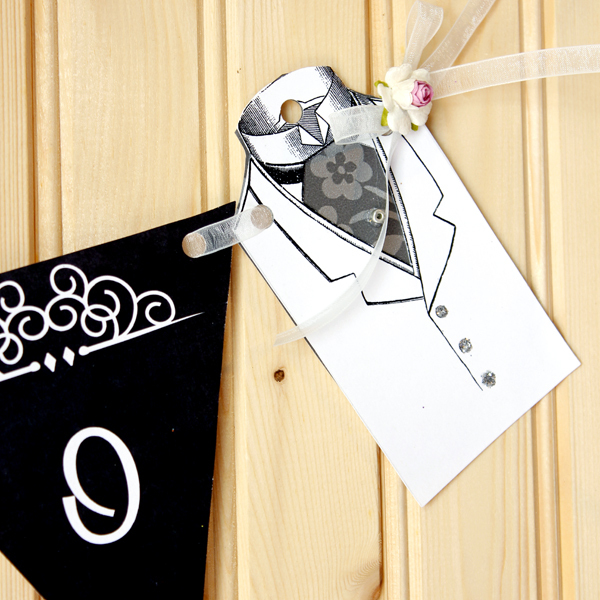 Your tag is done and will look great with your Groom Tag from last week and it will look gorgeous on the banner! Told you…they make a lovely pair. D…I and then the Bride. Now if you would like you can add bows to each side and it is ready to hang…hold for pictures…decorate a room for a Wedding Shower…the sky is the limit! 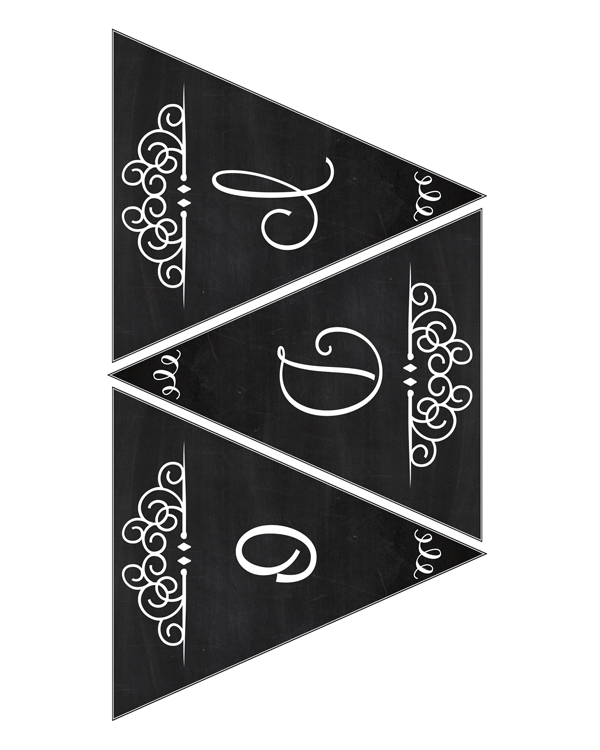 You can mix and match colors and tailor the banner to the Wedding you are creating it for. 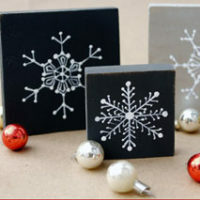 It’s fun…pretty and easy to make! Here is your I DO portion of the banner…simply click on the image to enlarge and then save as and print. 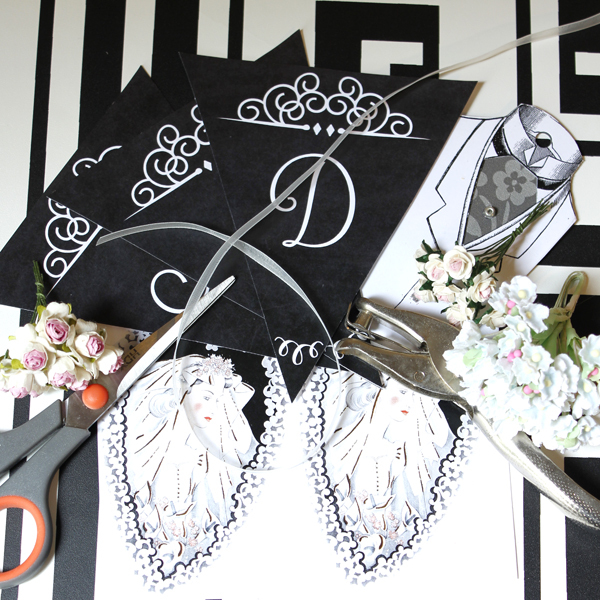 You are all ready now to create your very own Wedding Banner and or The Beautiful Tags! 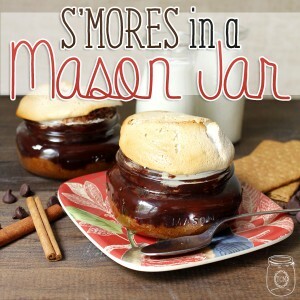 I will see you soon and I promise to have a fun Summer Time project that you will enjoy. Till then…I am always hanging out at The Cottage Market…so drop by and say HI any time! Wishing you the best day ever. 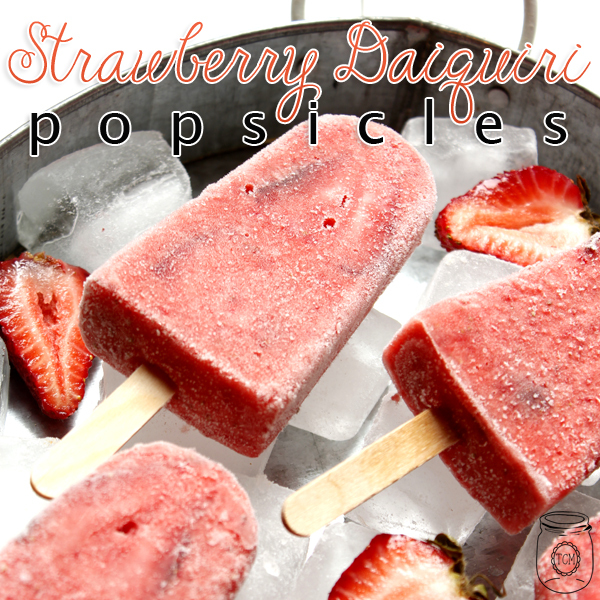 Cool off with a Strawberry Daiquiri Popsicle…we have two versions…kid friendly and one that is for adults only! ENJOY! Who doesn’t love a S’more and guess what Vegetarians…you can have this one too!! !